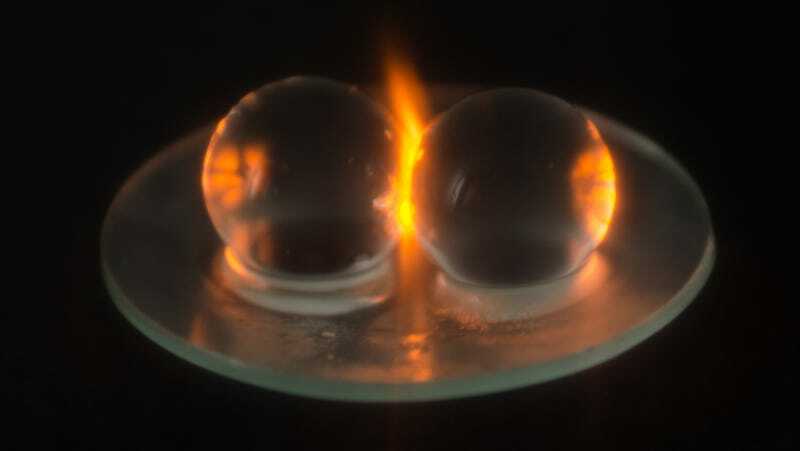 Hydrogel balls sparking due to microwave radiation. A paper published Monday in a well-known science journal begins with the following sentence: “It is a truth universally acknowledged that a pair of grape hemispheres exposed to intense microwave radiation will spark, igniting a plasma.” A universally acknowledged truth indeed... but what causes this microwave marvel? Plenty of quirky things could yield useful scientific results if you apply rigorous thinking and conduct a well-thought-out experiment, as demonstrated by this work. Also, so we’re clear: If you accidentally burn your house down microwaving grapes, it’s not my fault.